Arguably the “World’s Toughest” dosimeter! Spark® 705+ has a housing capable of being run over by a full-sized (6,000lb) SUV – its sealed aluminum extruded case offers the ultimate in tamper-proof survivability – in any environment! 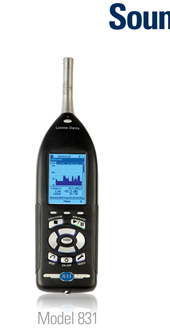 Similar in operation to the Model 703+, the 705+ is a cost-effective data-logging personal dosimeter that thrives when the going gets tough! 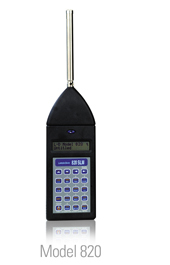 Spark® 706RC is the fully-featured self-contained dosimeter that provides ease-of-use, sleek ergonomic design and full on-board data logging, along with a backlit LCD display and lockable keypad. The 706RC delivers over 100 hours of continuous exposure monitoring on two standard AA Alkaline batteries and can store over 30 days of data in its huge 4MB memory. Standing up to three feet from the worker, you can instantly connect to another 706RC using infrared remote capability to check results, view data, even stop and start a test! 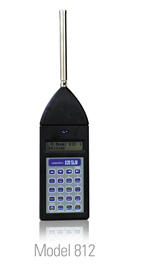 Add an optional MPR002 mast-style microphone, and you have a simple to use Type 2 datalogging SLM! Human vibration in the workplace can be created by the operation of tools, plantmachinery, and various vehicles. Different parts of the human body have resonances and, as you would expect, vibration at a resonant frequency is especially disturbing. As the transmissibility ofvibration to an operator increases in amplitude or duration, it can cause annoyance, fatigue, and at higher exposures, a risk of injury. Whole-body vibration (WBV) where transmission is from the source through the feet or the buttock and into the body. Hand-arm vibration (HAV) where transmission is through the hands and arms when using vibrating tools. 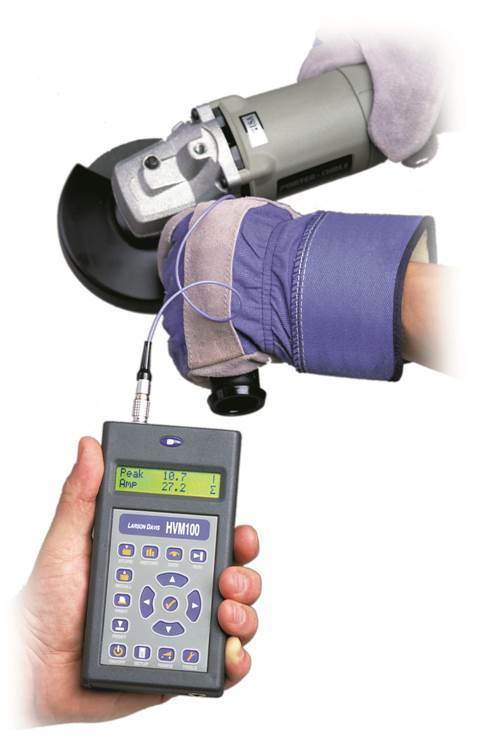 The Larson Davis Human Vibration Meter (HVM100) is well suited for measuring whole-body and hand-arm vibration. It will analyze the data in accordance with the most current ISO requirements to calculate exposure metrics. The HVM100 is used with a miniature accelerometer that can be mounted using various handle adapters or a seatpad accelerometer. 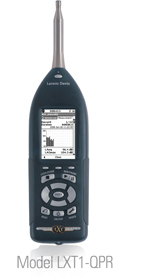 Using the Larson Davis Blaze® software, the operator can gather, manage, graph, and report the vibration exposure data. 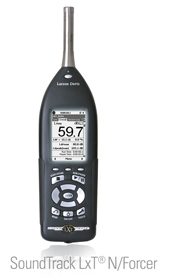 The Model 831 SLM is the most recent of the Larson Davis SLM products. Advances in the Technology provide a massive 250MB of Memory, with superior Performance and a Reliable design.